James McCort Seymour was born in Tyrone, PA on March 22, 1920, one of two sons and three daughters of John E. Seymour and Mary Kelleher. After attending Saint Matthew Parochial School and Tyrone Public High School, he entered Augustinian Academy, Staten Island, where he spent two years as a postulant. He was received into the Novitiate in September, 1940, and professed simple vows on September 10, 1941. He was solemnly professed on September 10, 1944 and received his B.A. degree from Villanova College in 1945. Following theological studies, he was ordained to the priesthood at the National Shrine in Washington, D.C. on June 8, 1948. In 1950, he was awarded an M.A. degree in Economics from the Catholic University of America. Father Seymour's first assignment was to Merrimack College and three years later to the University 0f Saint Thomas 0f Villanova in Cuba. In September, 1953, he was assigned to parish ministry at Saint Mary’s, Waterford and later at Saint Paul’s in Mechanicville, N.Y. He returned to Cuba in 1959 until all the friars were expelled following the revolution. In 1961 he served as chaplain and professor of Religion at Regis College for Women in Weston, MA. In 1962 Father Seymour was assigned to the first community at Biscayne College as Procurator and Treasurer. In 1965 he was transferred to Carroll High School and a year later, in declining health, to Austin Preparatory School. It was from Austin that he was assigned as Procurator and Treasurer of Mount Augustine Retreat House. Father Seymour died suddenly on July 22, 1969. The Funeral Mass was celebrated in the Chapel of Saint Mary’s Hall, Villanova on July 26th by Father Charles Picker, O.S.A., Assistant General. 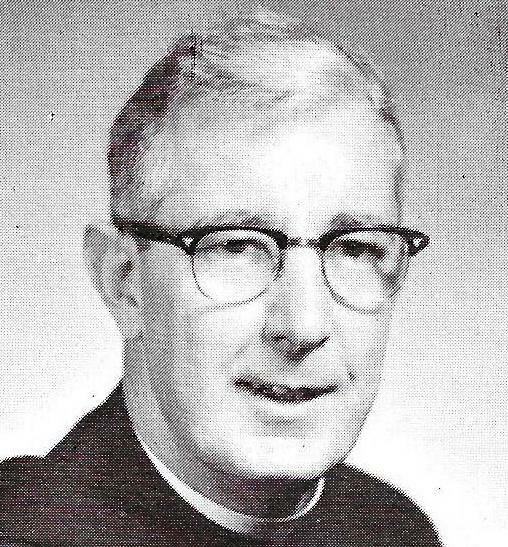 Father Arthur Ennis, a classmate, was homilist. He spoke of the depth and sincerity of Father Seymour’s commitment to religious life and the priesthood, and his unwavering fidelity and remarkable degree of generosity and courage. Father Seymour was buried in the cemetery adjoining Saint Mary’s Hall. His body wsa later transferred to the Augustinian Plot in Calvary Cemetery, West Conshohocken, PA. Newer Post Albert C. Shannon, O.S.A. Older Post Joseph A. Senke, O.S.A.